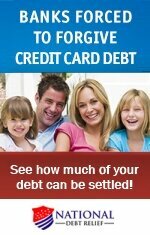 The process is over and your life after bankruptcy begins. With your bankruptcy discharged, a sense of numbness may have descended. After all of the anxiety, paperwork, and sleepless nights, it's finally ended. Yet, now you may be wondering what your life is going to be like from now on. Here’s an idea of what you can expect. 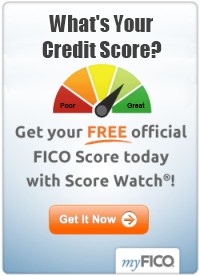 Your credit score may actually improve. Dozens of collections items have probably been wiped off of your credit report. Your debt-to-income ratio has just improved dramatically. Your bankruptcy will ensure you won’t be seeing a FICO score of 700 any time soon, but it should be easier to apply for apartment leases. You can get a credit card, but any unsecured ccredit cards are likely to have low limits and high interest rates. If you pay all your bills on time, you should see a healthy credit score again in about two or three years, possibly longer. Your mailbox will be full… of credit offers. It may sound counter-intuitive, but you will likely see credit offers come pouring in. Most of the advertisements will be for new car loans. Remember that you don’t have to take any of these offers (and you probably shouldn't, in fact). If you’ve already got something to drive, tear these up and throw the offers away. This is especially the case if you happen to own your vehicle outright. The interest rates on the offers you receive will be extremely high. After all, you're not getting these offers because the banks suddenly feel like you're a fantastic credit risk. You're getting them because you can't declare bankruptcy again for seven ore years, meaning the financing companies know they are going to get their money out of you, no matter what. You’ll pay much more money up front. Be prepared to pay large deposits if you ever need to set up new utilities or get a cell phone with a contract. If you ever want to take out another car loan in your life after bankruptcy, then make sure you’re prepared to start with at least $1,000 in down payment. The zero-down offers and the sign-and-drive offers will be off limits to you in most cases. You will still be the same person. You’ll wake up and find that most of your life hasn’t changed at all. The phone rings a lot less and you get less mail. However, you're still the same person you were before you declared bankruptcy. If you haven’t changed the circumstances, habits, mindsets or spending patterns that led you into bankruptcy in the first place, it won’t be long until you’re piling on the debt once again. On the other hand, hopefully in life after bankruptcy you find that you’ve learned to approach money in a brand new way. And there are plenty of free money and debt management resources to help you effectively manage your money and avoid getting into debt a second time around. All you need to do is make contact and ask for help. If you encounter difficulties after bankruptcy, don’t get discouraged. Just remember that the stigma won’t remain on your credit report forever. You’ll be in the clear in seven years if you are able to keep your finances under control moving forward.